Our country’s port system is an essential driver of the U.S. economy and for connecting us to the rest of the world. Every day, U.S. ports and waterways handle millions of tons of domestic and international cargo ranging from agricultural products to heating oil and automobiles. As demand for U.S. goods and services increases, U.S. ports are responding by implementing innovative technologies. Today, the Department of Commerce’s National Oceanic and Atmospheric Administration (NOAA) and its local partner, the Jacksonville Marine Transportation Exchange, dedicated the newest Physical Oceanographic Real-Time System, or PORTS®, in the country. Part of NOAA’s network of observational platforms, PORTS® puts real-time, actionable information, or environmental intelligence, into the hands of people who need it to make informed decisions. The new Jacksonville PORTS®, the second largest ever established in the system, includes a broad suite of operational sensors with water level, meteorological, visibility, salinity, air gap (under bridge clearance), and tidal currents. 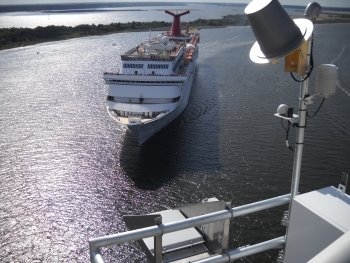 These sensors are the new “eyes” for the Port of Jacksonville giving 20/20 vision to port operators, ship captains, shipping companies, and others. Jacksonville PORTS® will provide mariners with better maritime information about currents and water levels so they can navigate more efficiently and safely. PORTS®, combined with up-to-date nautical charts and precise positioning information, can provide mariners with a clearer picture of the potential dangers in the water. In addition, as ships increase in size and carry more cargo, PORTS® provides shipping companies with information to ensure they safely enter and exit our ports. 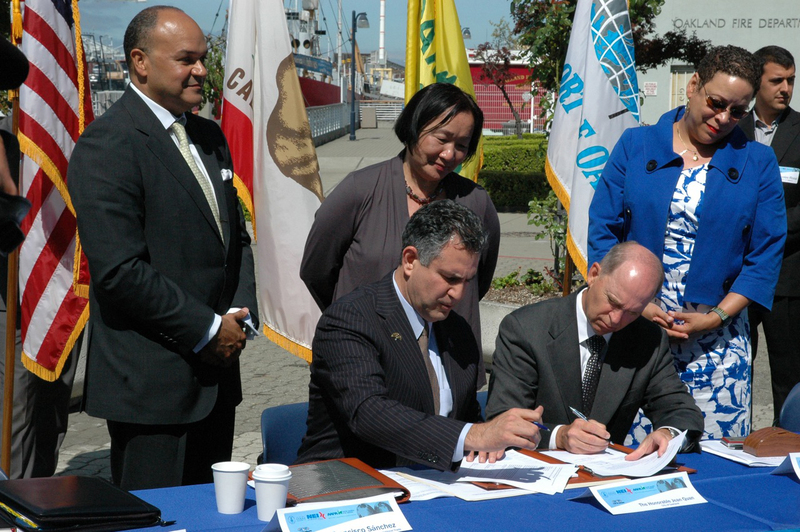 Just this week I traveled to the Port of Oakland to launch a new and exciting partnership. The International Trade Administration (ITA) and the American Association of Port Authorities (AAPA) have entered into a new partnership to promote exports. During an event hosted by the Port of Oakland, Kurt Nagle, President of the AAPA and I signed a joint memorandum of intent to collaborate to help expand the reach of our export education efforts. This effort supports the National Export Initiative, President Obama’s goal of doubling exports by 2014. This was my first visit to the Port of Oakland and it is very memorable. The Port is the primary point of exit for exports from Northern California and its agricultural industries. Notably, it is the largest U.S. export port for wines handling over 52 percent of all U.S. wine exports (by value) in 2010. On top of that, Oakland is the third-largest U.S. West Coast port for containers. It is the United States’ 17th-largest export port overall and Oakland is one of the few U.S. seaports whose exports exceed their imports; nearly fifty-five percent of Oakland’s total cargo tonnage is exports. U.S. seaports are a critical conduit for most U.S. merchandise trade, with more than $455 billion in exports flowing through America’s sea ports in 2010.